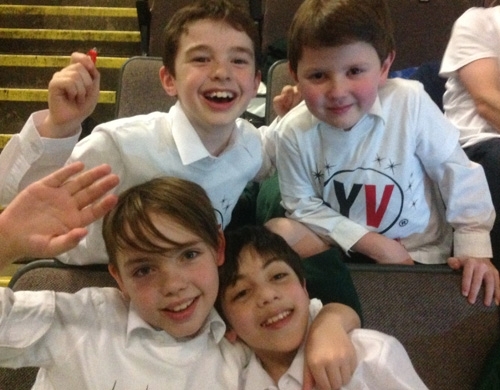 36 members of the Boys’ Junior School choir went to the Phones for You Arena in Manchester, to take part in ‘Young Voices’. Their performance was one of a series across 4 cities Manchester, London, Birmingham and Sheffield. The choir sang with over 8000 other children from around the North West and performed songs including a Family Film Favourites’ medley, a ‘Weather’ medley, a Folk Songs medley and Pop medley. They also joined in versions of ‘Lean on Me’, ‘Mr Blue Sky’, ‘You Raise Me Up’, ‘Livin’ on a Prayer’ and ‘Son of a Preacher Man’. The boys had a brilliant time singing and dancing the night away!